The title says it all. The Download/upload whatever you want to call it. It's the most powerful, overwhelming experience you can have in your Dreams. It's so powerful that you can only bare witness to it for a short time before it completely shuts you conscious awareness/minds off. I will be sending a email to Kurt on this subject though. I think he might want to add a 6th kind of Dream to his thinking. What is it you may ask? It's when you gain consciousness during some kind of powerful information sharing that is completely unintelligible from a Human standard. It makes no sense at all. It consists of shapes and what appears to be a language of some sort, not found on this Earth. Is this why no one talks about it? Is it ridicule they fear or is it that they fear that they think they must be going nuts themselves, lol? We are taught that there is difference between man and machine. We see how the Scientists are working feverishly on bringing the two of them together. Are they not already though? Are we not machines, computers of a kind already? Look at the evidence for it. Everything we learn goes in as input. We have a storage area, just as a computer does. As to what I have seen, we can be can be uploaded/downloaded as well. I think Science needs to look a bit closer at this phenomenon. We also have a central hub, the brain, that processes all incoming information on a daily basis, then controls our physical body accordingly. Last night I had became aware in my Dream, during another one of these. It didn't seem like a Dream though. It just seemed like I was in the dark 3D zone and information was pouring in. I tried to stay consciously aware of it as long as I could, but only lasted about 2 minutes. It was just too overwhelming. I have become aware of 5 of these now just this year. I have become aware of these period, for about 2 years now. Could this be an actual NPR (Non Physical Realm/Reality) level/area or Dimension, where there is only information sharing? I know someone else out there has also experienced this. Most likely many people, but as I said, it seems to be a taboo or forbidden topic. Normally I don't speak of this phenomenon as well. I am normally told what I can share and what I can't. When I awoke this morning I just "knew" somehow that I could finally bring this subject to light. Well I have made this thread to do just that. I would love to hear your opinions, stories, experiences with this as well. I don't know if this is the exact same phenomenon as you experience. For me I'm aware of it only 15-20 seconds before I wake up. I feel a very powerful, profound knowledge is being communicated to me. This last time it happened, I tried to wake up very slowly to see if I could hang on to it as I phased back to the physical. For a few seconds there I thought it was working, but as soon as I completely crossed over it was gone. I don't recall seeing shapes in mine, though. It could be a download or it could be I'm just accidentally experiencing the nightly activities of my higher self. I think if I could be there for 2 minutes like you are, I'd have a better idea about that. I had to fight like some kind of "Astral Prize Fighter", just to stay aware for those two minutes and still I didn't see anything that made any sense at all. The shapes I was seeing ere disk like, but they were flying me at a rapid speed. They weren't totally discs, but had somewhat of a oval, disc shape to them. The language (at least that's what I think it could be), looked to be a some kind of Ancient Cuneiform. But again, not anything I have ever seen before. It was incredibly intense and caused my conscious awareness of it to shut down. No form, massive amounts of data? You've connected with the source my friend. It is far outside a human minds capabilities to comprehend in its raw form. A telepathic link ,one you need to filter the data to a specific item. It comes instantly in the same form as an imprint. You have all knowledge in all time at your disposal. Did you feel how insignificant our mind is by comparison? Its an achievement and a rare one too, to get to experience. Any information recieved is going to take time to comprehend. It unfurls as you read, a second can give you the knowledge of everything in human history. So much, so fast, like a dream, you wake and have to write down keywords or it's lost. You have described it to a "T", Szaxx. That doesn't surprise me at all though, my friend! I felt like my Human mind was obsolete compared to this. This gives new meaning to the term "information overload", it just keep coming and coming, moving faster and faster, until I couldn't bare it anymore. It also totally wiped out any other LD's afterwards as well. I got up to use the bathroom shortly after and found that I had only been asleep for about 3 hours. So, I figured I still had a couple of good LD's ahead of me. But no, my mind was blank when I awoke for the day, except for the memory of this Download experience. That one I usually don't get over for about a month. There's nothing that really compares with it. At least nothing I have experienced as of yet. Like soarin, I have noticed the Download in the last 10-20 seconds as I am awaking. It reminds me EXACTLY of a system update, or compressed file being unzipped. I don't get any information or symbols but I know instantly that it is profound information, just a simple, soft zzzzzzzzzzzzzzziiiiippp...and it's done. And, like Lion, the rest of the day or two is strangely quiet, like I am assimilating. I've had three of these that I remember, starting back in 2009. I've also had the Download in the middle of the night at least twice. It occurs deep in sleep and I don't awaken, but do come aware enough to realize that the Download is taking place, then sink back into sleep. And as some of you know, I've had the teleconference experience twice, recently. It may be related, but is a more active, participatory sharing of information. You have described it excellently as well, EV. I created this thread because I knew a few of you guys knew what I was talking about and I had a feeling that those few would indeed be Moderators here. Usually I keep things like this to myself. But this time, I had an extremely strong impulse to share it here. That means it was time to. This is what I talked about when I mentioned "pushing further" in the Moderator Forum, while I was a Moderator, earlier this year. Positive progress is always a good thing. I believe Tom C is aware and really hope he has some available info on the filtering technique he uses. As finding suitable words to describe it fully are nonexistent. The filtering of info the instant you're connected is ever harder to describe. Precision is required and although you can't ask a question as all the answers are already present, it's your 'receptiveness' to specifics that needs working on. The speed of thought is too slow but you can catch snippets. These unfold into a great deal of info ad long as you undo them in order. The lack of successful projections afterwards is a no-brainer, you NEED this time to start unpacking the data. The biggest problem is bringing these imprints into the physical. They're a thousand times better if unpacked in the NP. The data is read easily, the recall in the physical is another one for you to experience. At present it should feel immense and hardly any of it is translated into a linear time mental construct we call permanent memory. Ain't it a (slang female dog). Yep , it's wonderful and I put my out my intent on learning more about this phenomenon. Last night before I woke to use the bathroom a couple of hours after I went to sleep, I found myself in a what I thought was a room that was filled with solid white light. I didn't "see" a room, I just felt I was in one. I also didn't sense anyone else around. Sometimes I feel this room, (which I have found myself in often), is a quiet zone just made to ponder things. It does seem different somehow from the 3D dark zone though. Possibly because you can't see depth through the strong white light. The white room has been used for two purposes that stand out from experiences, one was in a simulation for various lessons, the other initial use, was part of a guided tour to a very nice place from my early days in the astral proper. The latter did seem larger than the void, it was formless but a physical world impression was implanted so I could comprehend what was there. Since then the latter white room gave access to many respected 'religious entities', some I recognised some not. I was very young and influenced by religion. All a resultant indoctrination of my birthplace. It is different from the void, it has a distinct purity, again words fail. In more recent experiences, it's an environment close to the source. The purity and "safeness" in there was definitely felt! Shapes and sounds and vibrations? I learned recently that Knowledge is the amount of information someone can contain. When we strive for Knowledge, we strive for more Information. Intelligence is not how fast or focused we can process this information, but The capacity to Connect Real Facts of the Whole Knowledge gathered to create more facts and get that "OMG I get it's all logical sensation" or a "New" Idea, or just a realization of something bigger, that is coded or not written in books, or even written in code. But that by all means and purpouses, you know it's logicall because of the amount of information you have gathered, based in Truth. I haven't had a Download myself, merely yesterday I had my first "Alien Experience/Dream" in.. forever. to keep it short. I was in my bedroom, wanted to go to the pool, saw out of the windows, saw Points of light all over my city, went running to rooftop. Said they were gathering and time is close. Now, what I saw, I've never seen in my life or in any other dream/projection. We had a long talk, I had never had such long intellectual talk in my dreams, ever. I could only fell Love and Good intentions and was aware of those emotions and vibrations. Perhaps something is happening somewhere soon with us aware of it. or not. Speculating is entertaining. I think we are being communicated in a way that can't be blocked. Which is consciousness to consciousness! I have had the first part of your Dream countless times. But my "friends" never turned into robots. Reading that looked like many of the entries in my Dream Journal, lol! I just accessed my email and saw that not only had Kurt replied to me, which I am extremely THANKFUL for, but he also gave me permission to share his theories and explanations on said event as well. Here is that reply. Thanks for writing and I'm glad you got some benefit from that article on my website. Thanks also for the invitation to Astral Pulse. Things are a bit crazy with me at the moment--I've been doing a lot of writing. My experience with forums is that they take a lot of time, which I don't have right now. So I'll respond to your question and post (which I read) here. If you want to paste my reply into the thread on your dream, go ahead. I may check in from time to time to see people's comments. 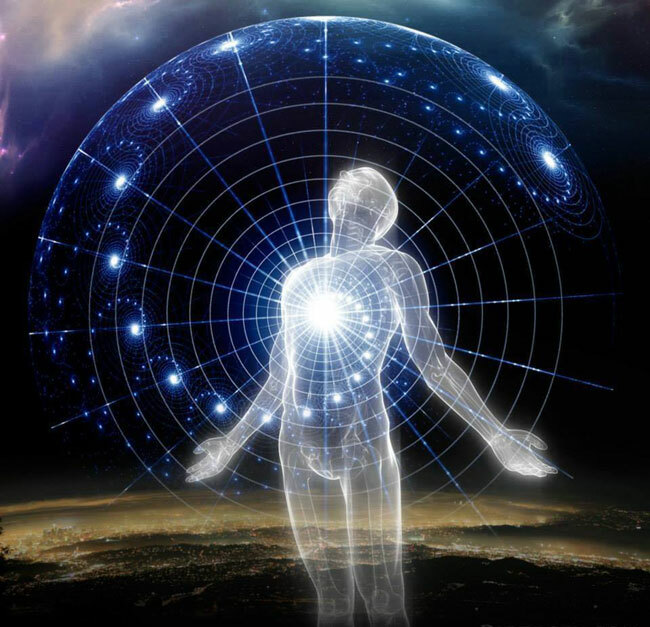 I've noticed that even advanced dreamers and astral projectors often don't recognize when they've shifted up a notch onto a higher plane and/or into a higher body. The experience you describe has the hallmarks of what I would call a mental plane adventure, rather than the usual astral plane dream/projection, which is what my article was about. I've been using a system for monitoring my own and other people's progress by means of the chakras. The assumption is that we have multiple energy bodies, each one suitable for experience on a particular plane. As the plane gets "higher," the experiences in the body that goes with it get harder to bring back. Each energy body has a set of inner senses designed to function on that plane--but all, some, or none may be functional. Applying this system to your dream, what I see is that you have a sense of a body (you versus not you; or receiver versus download source), that you're having sense experiences (the feeling of uploads/downloads). But you don't describe self-propelled movement on this plane. You assume the presence of other beings, but can't perceive them or communicate clearly with them (two-way). There's no coherent perception of your surroundings, the beings, or the nature of the communication. You can't transcend the perceptual biases of the plane because you don't yet know what they are. So it looks to me like you've shifted into a new body--which is quite an achievement--but the inner senses/chakras beyond the first two are not yet up and running. Further experience might help you activate the others. If you're lucid enough during these experiences, ask someone to show themselves and teach you the language the communication comes in. I call this language feel/think. It's a feeling-based telepathy. Some years ago I got several lessons in how to use it. One involved finding myself between two nonhuman nonphysicals in a more or less spaceless environment that I call the Nonhuman Zone. I felt like I was drowning in a love so intense that it went way beyond anything I'd ever experienced on the human plane. I had to fight to get to the surface of this love because it was so overwhelming--and when I did, I discovered that this was the ordinary level of conversation between such beings. So, some stuff to chew on. Good luck with it. All of this seems very interesting and although my experience isn't what you guys are describing I was however able to recall it because of reading this. It was during a time that I stopped going to public school to be home schooled and did my work on a computer program. I wasn't very responsible and spent late nights playing games so in the morning when I woke up to do my work and sat down to start reading the lessons I would doze off. I never realized that I had fallen asleep to begin with so I went through my dream, continuing to read my lesson. Reading through sentences and continuing learning... what I thought was my science lessons, or English lesson, but then I would jerk awake and continue reading only to be confused because the content of the lesson would be completely different which would bring me to further confusion when I realized that I couldn't remember what I had read to begin with. It was very frustrating because I desperately wonder what I had read, but all I could recall was that it made complete sense and felt like I was actually learning something. Once again Kurt makes another comment that's 100% with my experiences. "There's so much love you don't want to come back." I've posted this a few times already and Kurt in his explanation says " I felt like I was drowning in love..."
The communications are also telepathic in nature, again they are different from that used in the Earthlike astral environments. It's a more all encompassing feeling and it has to be felt to be appreciated. Just being within the environment is overwhelming, again nothing physical comes anywhere near. I have posted this before in a response a while back. Next time this occurs and I am sure there will be a next time, I shall focus on leaving the awe and overwhelming until I awaken and actually try to communicate with this incredible Source while the actual data link is occurring. Possibly there is a Guide/Mentor monitoring this that might be able to help me decipher the code. That's easier said than done though, but it's something I will have to work on! When Kurt says 'As the plane gets higher, the experiences in the body that goes with it gets harder to bring back,' I can identify. The 'drowning in love' part, I can bring back with no problem! However, the knowledge part, I haven't been able to bring back at all. In one of my Source experiences, I remember having knowledge of everything while I was there, but I could bring nothing tangible back with me. Many times I have communicated with other beings in the feel/think language. -Same thing here, though. All the love and other feelings came back with me but the knowledge of what we were talking about was forgotten as soon as I reentered the physical. When NDErs have their experiences, some are told what parts they will retain and what parts they are not allowed to remember, so I always wonder if I'm not allowed to remember what was told to me or if I just haven't developed the skills yet. Could be either or a little of both, I suppose. I had an experience awhile back that on the surface of it seemed like one of these downloads, but since I wasn't able to decipher it's meaning (except on the most basic level) I had disregarded it as such. From what is being said here, it seems like it was a download communication, but I didn't have the proper senses working to decipher it. The experience is as follows. The telepathic communications you've experienced will have the feelings and the object of the relevant communication together. These interleaved perceptions, as you will have experienced, supply a complete answer in a far shorter amount of time than words. This info is still being presented in linear time. You send and recieve to make sure the recipient has fully understood your comments. A mental connection in action. The memory is retained as it is in a format we use. The source has all knowledge of all time instantly. It's imprinted into your memory as a dream is. You move away from the source, it fades like a dream upon waking. Whatever you want to know must be in your mind and then you'll have a limited or filtered data packet to address. This is best done while still NP, your mind is at least 5 times faster in this state. Then with all you can recover you keep it in mind and wake, instantly writing it down or refering it to permanent memory. It's not easy at all, the main problem is having enough memory of what you want to know while connected. Your mind is overloaded and reducing this overload seems to pull you away. Remembering the feelings are far more successful. Recalling details is less successful as they need time to allow them to be remembered/converted. It's strange how some missions I travel on have physical world memories removed then gaining info from the source is also seemingly removed apart from the time dependant echo. I wonder if many other practitioners say the same. We all remember the bliss and purity but not any info in detail. Use your dream recall methods after a visit to the source while still non physical. It should help somewhat. Easy to say, extremely difficult to do with good awareness. These visits do tend to wake you as Lion has already said. don't really talk much about, but should. I also wanted to comment on your last paragraphs there. Yesterday while I was in a Phase/Meditating, I was deep in and asked the question "Is the Galaxy real". I was then launched through Nebulas, Universes and even things I have never heard of or seen before. They don't seem to be in the Human record yet either. That showed how powerful thought=action is while in that state. Ask and you shall receive. I guess a yes or no answer was out of the question though, lol! ...and to Szaxx, once again another thought provoking answer my friend! Very thought provoking indeed, Szaxx. Thank you! Lion, Wow! -about the galaxies! I gotta come up with some better questions. lol! Yep, exactly as both of you stated. The images were rapid-fire. For me, this was an extreme and totally unexpected experience. I have to tell you till I had this experience I had never really 'tried' to do any of this. They are extremely powerful experiences and impossible to ignore or forget. You may forget most of the imagery, but not the event itself! But I do remember the images, I just can't grasp their meaning. Maybe you can: remember these images are rapid-fire. A baby (human/male) laid inside a white sphere. Overlaid on this image, another image. This one a very old statue. Huge/old/oxidized iron. I saw the statue age through centuries but somewhere along the line it became aware. This made me incredibly sad as the iron statue being aware was still just a statue. But I watched as over time the statue was improved, it was given joints and movement and freedom to move. Meanwhile the baby grew into a man within the safety of the white sphere. Then a third image displayed above the sphere. It looked like a medallion. It was the brightest gold with wings (as best I could tell) in the center. It swayed too and fro spinning. The entire sky (?) around the medallion was beyond any white I have ever seen in rl. Every time the medallion spun where I should have been able to make out the symbol in the center there was a flash so brilliant it was blinding. Beneath the medallion the baby/ now man had realized his condition (being in a sphere). The top of the sphere would crumble into a fine powdery dust and immediately be rebuilt only to crumble again. What I can not determine is 'who' was making the sphere crumble. The man or the 'other'. The statue may represent a large time scale, also our progress as humans. The baby is protected by the sphere and as it grew up the safety remained. Now that mankind is starting to develop the mind for non physical experiences, the sphere is standing in his way. It will crumble and then restore itself as we are not ready for the whole. The statue also represents mankinds development. Until we believe in ourselves and each other as one, no animation will present itself. A kind of stagnation exists until greed and selfish egos are dispersed. The medallion has some connection with the source. Although we know of its existence, so few of us have brought back memories from its singularity. I've shared a scraping of the surface and will wait for the words from another before saying more. The way it works is simple. If you saw 50 pictures I displayed and then was asked to describe them all, you'd not quite manage this task. If however I displayed 10 more plus the 50, you'd know which 10 were added with a very high accuracy. When experiencing the source it's best to make mental notes as the available information is far op much for our minds. If you know computers it's a Kray v ZX81.